Blaser Encourages You to #BeActive with the Blaser Active Outfits Contest on Instagram. 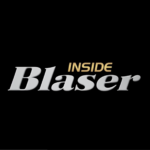 With its active outfits collection, Blaser combines tra­di­tio­nal hunting wear with modern textile tech­no­logy into a perfect marriage of style and func­tio­na­lity. This winning mix makes our garments the perfect companion for any outdoor enthusiast. High end, innovative fabric com­bi­na­tions offer excep­tio­nal pro­tec­tion from humidity, wind, and low tem­pe­ra­tu­res. Taste­ful design features and pocket systems geared towards active hunters, complete these intelligent designs. 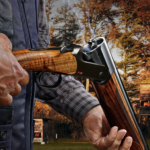 Combining perfect form with a hunter’s tem­pe­ra­ment, Blaser active outfit sets new stan­dards in style, quality, and per­for­mance for the outdoors. Follow/Share/Like/Mention @Blaser_USA on Instagram to enter.